Fast, dirty and a bit dangerous - thats quad biking. A great adrenalin rush for all your hens. Will you be able to cope with the steep inclines and the fast drops. If you’re searching for an activity for your hen’s party, you will want to choose something that is fun, teambuilding, exciting, and that gives everyone in your group an adrenaline rush. Quad biking is the perfect activity that combines those prerequisites to ensure that you and your group have the time of your lives. With the combination of steep slopes and incredibly fast drops, your stomach will feel as if it’s on a roller coaster and your adrenaline will be pumping through your body faster than ever before. 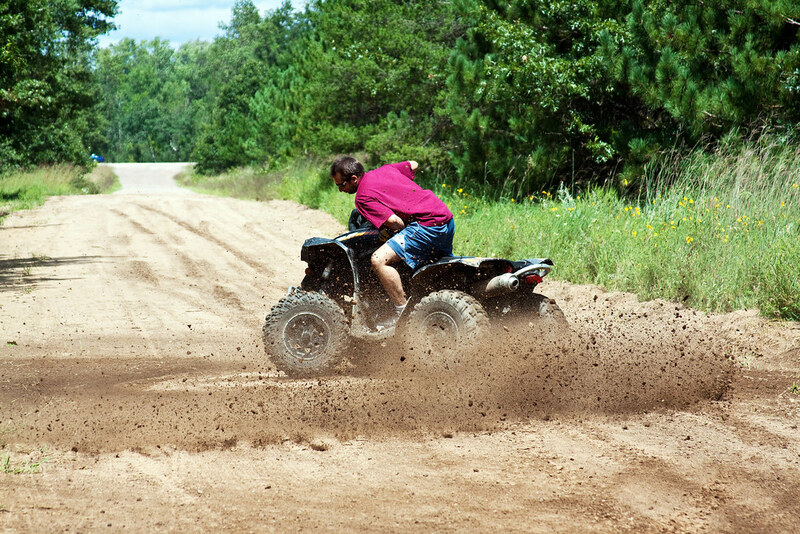 With that being said, quad biking is the ideal activity for adrenaline junkies seeking a thrill. When you and your party are participating in an activity, it is important that you choose a location that provides you with an ample amount of safety measures but in a fun and controlled environment. 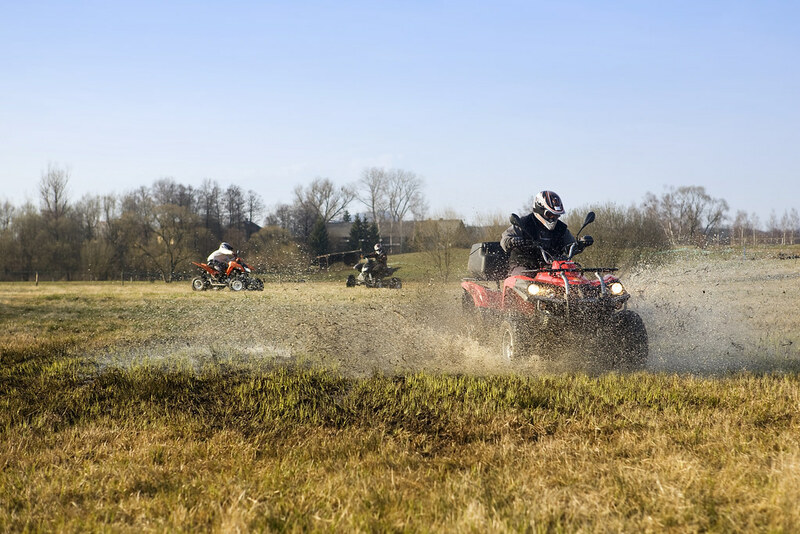 Quad biking is the perfect opportunity for thrill junkies that don’t want to put their lives in danger but to simply experience the blood coursing through their veins. Each group that participates in the quad biking adventure will have an experienced tour guide that is trained in not only medicinal practices, but also how to safely operate the vehicles. Depending on the experience that everyone in your group has, your quad biking adventure can be tailored to your every need. Whether your group is filled with beginners, veterans, or both, you can choose activities that everyone feels comfortable with. Plus, your tour guide will teach you about the functions of the quad bikes, how to use them safely, and how to enjoy yourself. This is a great way to make sure that everyone in your party has an activity that is tailored to their individual abilities. 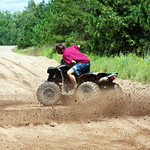 Get your adrenalin flowing on the quads before steading your nerves for the shooting - will you be the best at both??? Your skills and nerves will be put to the test as you get behind the wheel of the rage buggy. Your hens will have such a good time you will struggle to get them away.